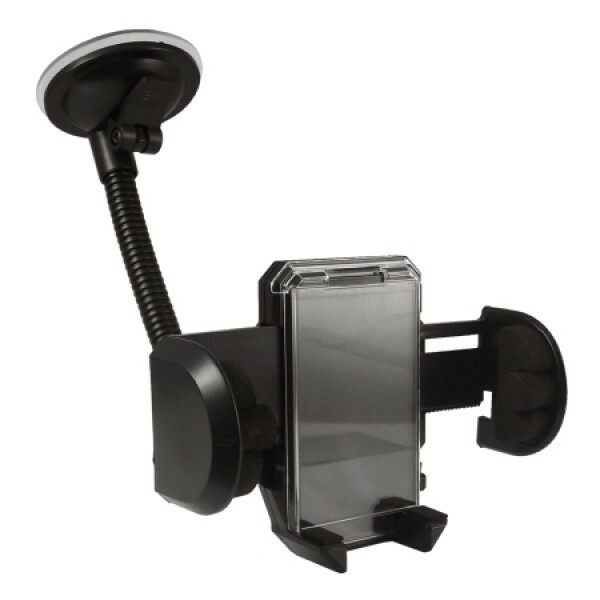 Keep your smartphone safely and securely in view on your car windscreen with the rotatable and adjustable universal car holder. Compact and versatile, the Universal Mobile Phone Air-Vent Holder features an adjustable structure which adapts to the phone it has to house. It disappears discreetly behind the phone whilst its adjustable arms and retractable support base ensure that your phone is held securely even while your vehicle is on the move. It’s easy to install, either by means of clever spring hooks or double-sided tape for dashboard use.